EasyOffice is an application available on web and mobile which ensures ease and efficiency for your communication operations, making them scalable to your needs. From single to massive, from small to large companies in just one application. After having registered you can enter the personal area and immediately use the bonuses in order to send an SMS, a FAX, to store files in your File Manager and in Dropbox, to manage your contacts in your phonebook. 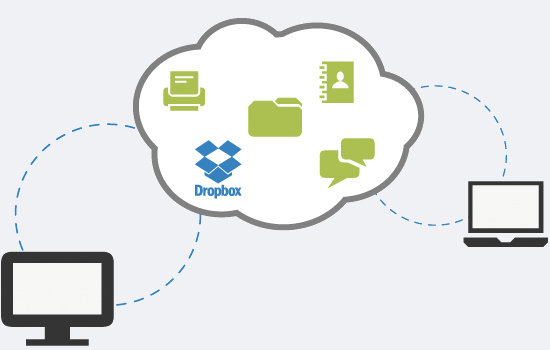 EasyOffice makes single and massive communication easier, allows you to stores and shares files: many opportunities at your click even on your iPhone, iPad and Android smartphone. The EasyOffice Registration is Free and ready to use. It is possible to use your bonuses immediately in order to send an SMS, a FAX. Mark is stuck in traffic. He sends a fax to his accountant in just a few seconds, directly from his car. He takes a picture of the document with his smartphone camera and forwards it directly from the EasyOffice Scan Fax app. Mark knows that his accountant usually receives faxes from his fax number. Luke has to send a fax to his supplier, Andrew. He accesses his Personal Account on EasyOffice from his office PC. He directly writes the fax online and attaches the payment invoice that he has in a desktop folder. He sends Andrew the fax and within a few seconds, Mark can go back to work. Claudia is always on the move for work. Because of this, it is more convenient to receive faxes in her e-mail inbox. Her clients have her fax number, with her city’s area code. Claudia is never in the office, but is able to read all of her faxes from her mobile, without the need for a fax machine and a separate telephone line. Simon has started a new business. In order to lower expenses, he has chosen an alternative to the usual machine for receiving faxes: the EasyOffice Geographic Telephone Number. He has a number with his city’s area code. He receives his faxes by e-mail and archives them in the Document Manager to keep track of them. Sylvia has a clothing store. She has to inform her clients that sales have begun. She has chosen to send SMS. She enters her Personal Account and accesses the SMS section, composing the message. She selects from her contacts list the group of 300 contacts that she has created from her best clients. With only one send, she has reached all 300 clients. Lisa keeps all of her documents on Dropbox. She has to send Sofia, her lawyer, an urgent document by fax. She accesses EasyOffice, selects the document among her Dropbox folders. She attaches the file without having to exit fax creation and sends it. A few seconds later, Sofia receives Lisa’s fax. We have been using the SMS service now for more than three years and it is excellent, without a doubt. I have never noticed that the message did not arrive at its destination, which is the most important part. I advise you to also enter direct SMS reception on the portal so it will have everything that you need. The SMS service is immediate, practical and easy to use. I am happy with using all of the services, particularly the letter service that lets me conveniently send letters from my PC, taking advantage of universal top up, good for all services. The fax sending and receiving service is efficient, fast and secure; I highly recommend it! What I prefer most is that with one simple click on my computer, I can attach and send documents by fax without having to fight with the printer and check if the fax’s status without wasting time. It is fabulous to be able to send pictures from my mobile (we also use the service from the mobile app) and be able to send them with absolute ease. Before, we used to use traditional faxes and we weren’t even sure if those faxes arrived! It is essential for us to be able to receive faxes and, upon notification, display them anywhere.